In this new spot for Mercedes-Benz, The Mill and Merkley + Partners created a spot to light up the holiday season. In 'Luminaries' it was important that the lanterns felt natural and each and every one of them appeared to be placed by hand. In camera, the team managed to have close to five hundred candle bags, but thousands were needed in the finished spot reaching out into the distant hills, snaking around up into the mountains. "This was a great example of 2D and 3D working in synch and with CG placing lanterns along the hand-drawn path that we designed, the result was beautiful," said Senior Compositor Danny Morris. 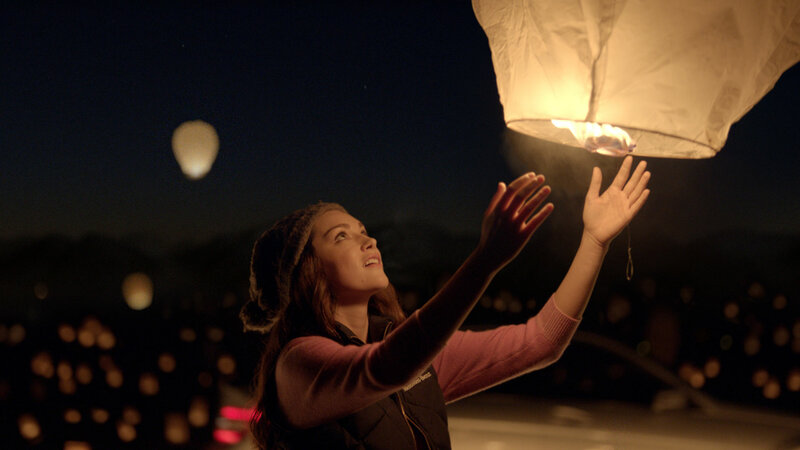 The floating lanterns were shot using the second unit Alexa camera and composited in Flame. With matte painting work for the skies and far backgrounds, the light from the bags in combination with the night sky was the perfect color palette to make a classic Mercedes-Benz holiday commercial to follow in the footsteps of past winter event spots for the brand. "It was really great to get the team back together and we were excited to work with Chris Landi and Chris Ott again," said Senior Compositor and Joint Head of 2D, Gavin Wellsman.